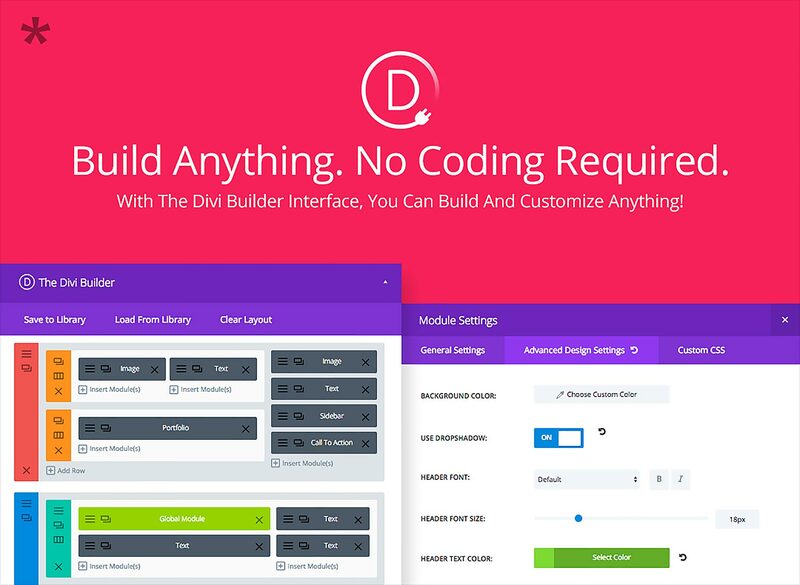 The Divi Builder was long waited product from Elegant Themes. The guys from ET build amazing things and Divi Builder one of the best products ever builded. That could revolutionize the way you build websites with WordPress. Divi Builder is a WordPress plugin that works with virtually any WordPress theme – even themes not built by Elegant Themes. It allows you to modify not just your site’s content, but also the site design itself, without having to change themes. Goodbye To Coding. Just Drag & Drop With The Divi Builder! Using the powerful Divi Builder interface, you can build amazing layouts without ever touching a line of code. Everything is completely customizable! 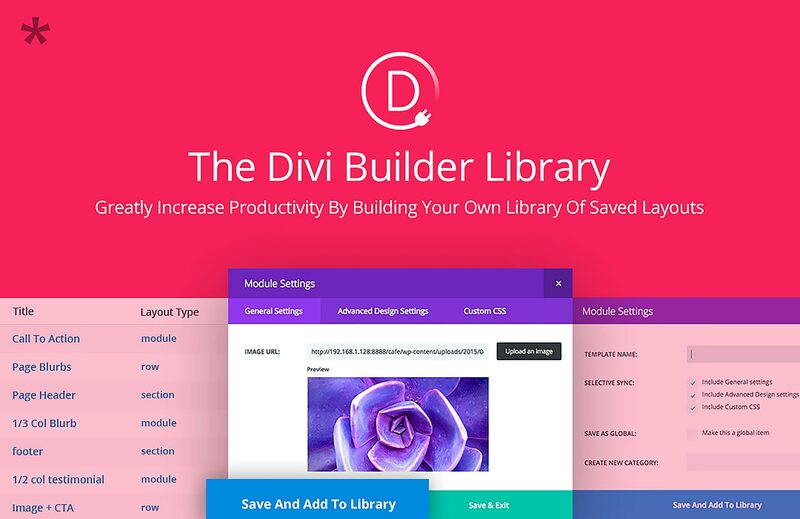 Divi Builder allows you to insert, remove, and edit content blocks. It boasts unlimited layout possibilities, and its fluid content areas are perfect for a responsive design approach. Modules are like building blocks for your website. Simply pick and combine different elements to create your desired layout in just a few minutes. The possibilities are countless. 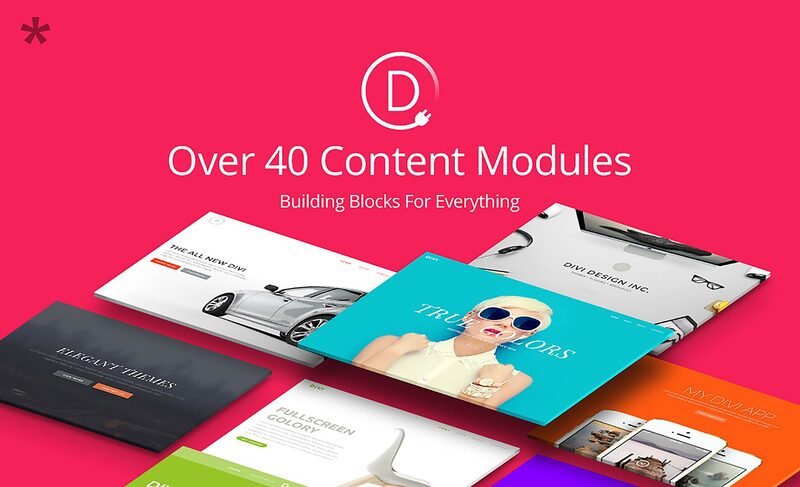 The Divi Builder has over 40 content modules, including text, bar counters, pricing table, number counter, accordion, tabs, project portfolio, to name just a few. When you have created a fantastic layout, you have the option to save it to your own library for future use. The Divi Builder Library can house an unlimited number of custom builder elements and pre-made layouts, and once added to the library, these items can be added to new pages instantly. This is an extremely useful and time-saving feature. Here is a list of the main features of the Divi Builder Plugin – but they are only some… there are many more, so make sure you check them all out!